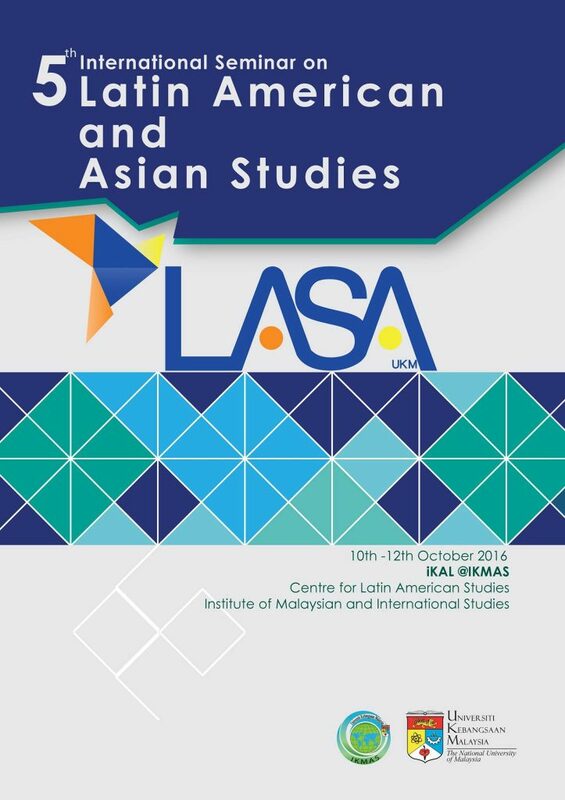 On 10th – 12th October 2016, iKAL IKMAS held the 5th Latin American and Asian Studies (LASA) at Universiti Kebangsaan Malaysia and Bangi-Putrajaya Hotel, Bangi. 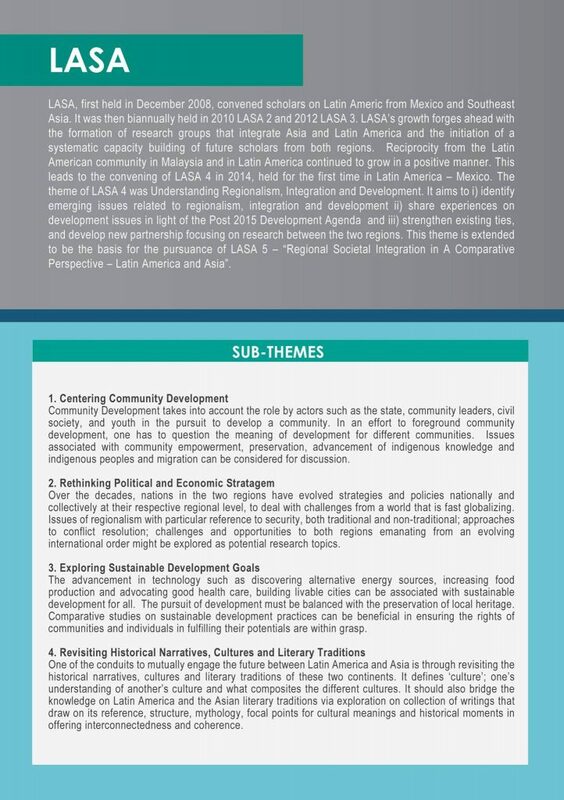 In LASA 5, participants discuss ideas and issues that revolve on “Regional Societal Integration: A Comparative Perspective – Latin America and Asia”. LASA 5 also held the 4th Simon Bolivar Public Lecture Series, this time came with the title: “Latin Americans: who are we?” presented by His Excellency Alfredo Toro Hardy, Ambassador of the Embassy of the Bolivarian Republic of Venezuela to Singapore. Community Development takes into account the role by actors such as the state, community leaders, civil society, and youth in the pursuit to develop a community. In an effort to foreground community development, one has to question the meaning of development for different communities. Issues associated with community empowerment, preservation, advancement of indigenous knowledge and sindigenous peoples and migration can be considered for discussion. Over the decades, nations in the two regions have evolved strategies and policies nationally and collectively at their respective regional level, to deal with challenges from a world that is fast globalizing. Issues of regionalism with particular reference to security, both traditional and non-traditional; approaches to conflict resolution; challenges and opportunities to both regions emanating from an evolving international order might be explored as potential research topics. The advancement in technology such as discovering alternative energy sources, increasing food production and advocating good health care, building livable cities can be associated with sustainable development for all. The pursuit of development must be balanced with the preservation of local heritage. Comparative studies on sustainable development practices can be beneficial in ensuring the rights of communities and individuals in fulfilling their potentials are within grasp. One of the conduits to mutually engage the future between Latin America and Asia is through revisiting the historical narratives, cultures and literary traditions of these two continents. It defines ‘culture’; one’s understanding of another’s culture and what composites the different cultures. It should also bridge the knowledge on Latin America and the Asian literary traditions via exploration on collection of writings that draw on its reference, structure, mythology, and focal. 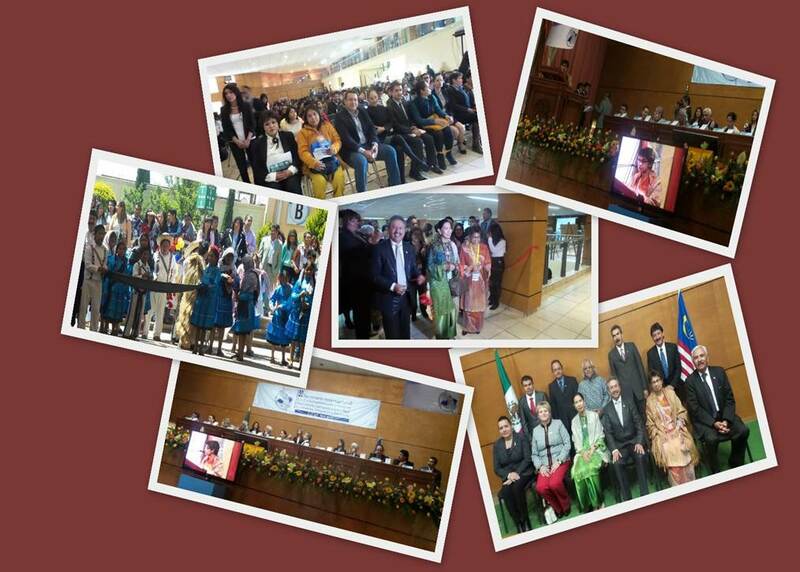 2014 (Mexico – CUI Itxhlahuaca) is a step forward in solidifying the path of scholarship between the regions. 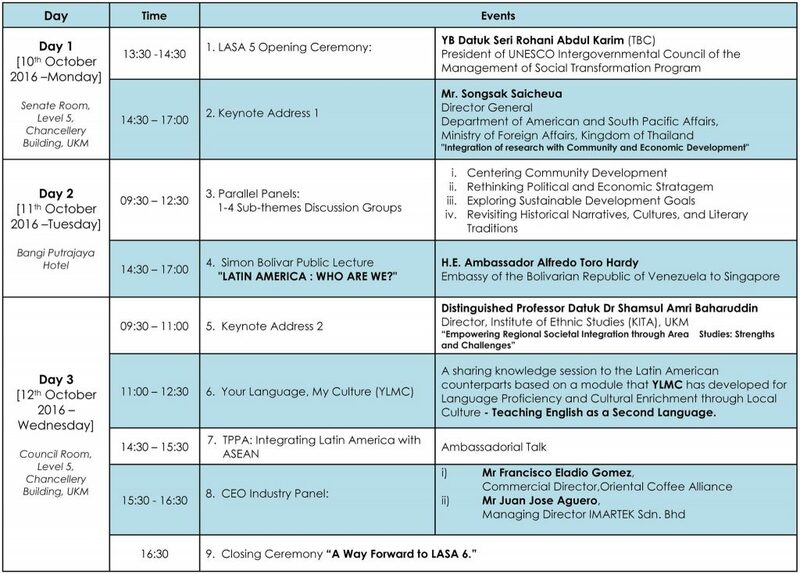 The theme of LASA 4 was connecting Latin America and Asia: Regionalism, Integration and Development. 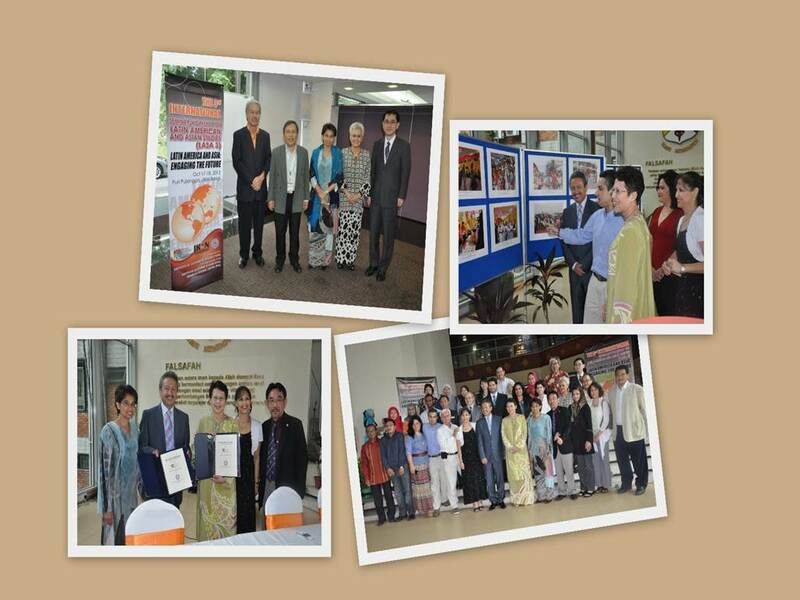 A continuation of deepening ties with partners in Latin American. 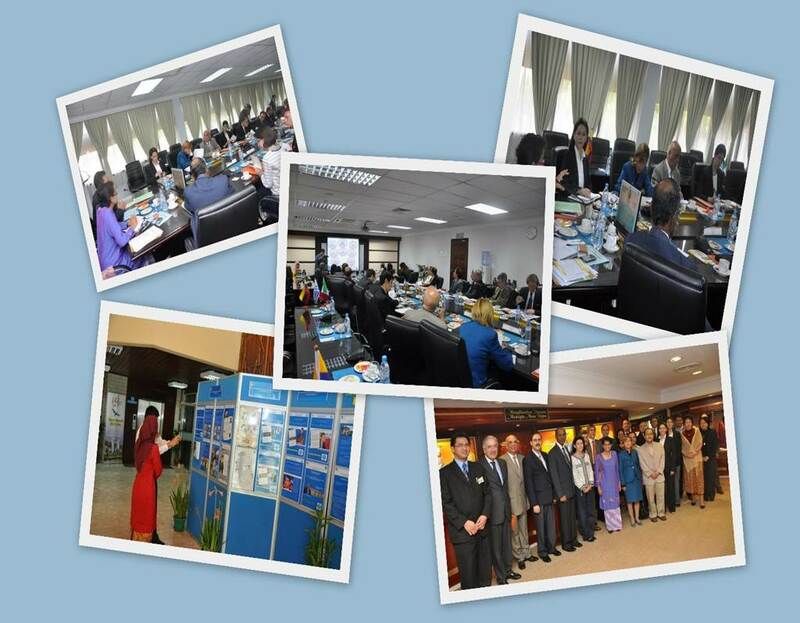 2012 (UKM) IKON moved into the second phase of its engagement with the Latin America especially with the research community. Was held in 2008 (UKM). The seminar brought together Latin American scholars from Mexico and around South East Asia where IKON (formerly the Institute of Occidental Studies) signed 3 Letters of Intent (LOI) with partners.